The great Walter Bagehot (the author in the 1860s of The British Constitution) famously described a royal wedding as "the brilliant edition of a universal fact." Hence, for example, the world-wide interest in the latest British royal engagement! Yet marriage, as all sorts of authors and commentators have been warning us in recent years, has increasingly become less universal and more class-based. It is an evident social fact that in today's society marriage - and its manifold benefits - is much more likely to be an upper-class experience, almost a luxury item. This trend is both the result of growing inequality and a further contributor to it. It is also in part a result of the value of marriage no longer being upheld and propagated precisely by those who benefit from it the most. Sociologist Charles Murray famously challenged our upper classes to "preach what they practice." Certainly their failure to do so has been catastrophic for those at the other end of the socio-economic hierarchy, who would benefit enormously from living in a society whose leaders articulated the values and promoted policies which would further the social stability, which previous generations benefited from and which the better off are still largely able to benefit from. Traditionally, we speak of two judgments – the general and the particular. Like Michelangelo’s famous fresco in the Sistine Chapel, today’s gospel portrays a final, general judgment, which we associate with the end of time. Yet, that final, general judgment will just ratify and confirm the particular judgment of each one of us at end of our individual life. Likewise, that particular judgment just confirms each one of us individually in the kind of life we have been living on earth - in the kind of person you and I have become over the course of our life. Around the end of World War II, the British author C.S. Lewis wrote a short story, The Great Divorce, a fantasy, in which the narrator finds himself at a bus stop in what resembles a rather dreary 1940s English town in apparently perpetual drizzle. There he joins a group of quarrelsome, grumpy ghosts on a bus trip to the outskirts of heaven, where they are to be offered yet one more opportunity to leave behind the sins that have kept them trapped outside. Lewis was just writing a novel, of course, a work of fiction. But, like the Gospel’s judgment story, it illustrates the connection between what we believe and how we live. And it dramatically captures how my own choices and actions here and now can either unite me with others or cut me off from others. Both the novel and the gospel illustrate how the person that I am going to be forever is the person that I am presently in the process of becoming – by how I am living here and now. What I do with others, how I live with others, my actions, my relationships, my whole life matters. Each one of us is the story of a lifetime. And it is, of course, a process – a lifelong process, in the course of which each one of us experiences his or her own particular set of challenges and opportunities. And, just like with the servants in the parable we heard last week, the gifts God has given us to work with can be multiplied many times over by going beyond ourselves and joining with others here and now in this world, which we have been entrusted to love and care for, and in our life together as his Church. As Pope Francis has reminded us, defeatism stifles [Evangelii Gaudium 85], whereas God’s love summons us to mission and makes us fulfilled and productive [[Evangelii Gaudium 81]. Photo: Salvator Mundi by Leonardo da Vinci, the only one of his paintings still remaining in private hands, recently sold for $450.3 million. Last night, my mother and I watched A Charlie Brown Thanksgiving, which first aired in 1973 and, while perhaps not quite so classic as the famous Charlie Brown Christmas and Halloween specials, has since become a Thanksgiving TV tradition. This morning, we are watching the even more traditional Macy's Thanksgiving Parade. Virtually everyone in my generation, who went to school when we still routinely memorized poetry, remembers Lydia Maria Child's 1844 Thanksgiving poem that begins, Over the river and through the wood, To grandfather's house we go. While the familiar narrative of the Pilgrims and a lot of the language associated with the holiday highlights giving thanks (thanks to whom being increasingly less clear), the holiday is at least as much about being together. Even if it means traveling over the river and through the wood - or nowadays on the road and through the air - the holiday is increasingly about wanting a place at someone's table, actually belonging at someone's table, wanting to be and to feel connected with others. All this is happening, of course in an increasingly individualized and fragmented society, in which belonging at someone's table can be less and less taken for granted. Indeed, even the existence of a dinner table to belong at is problematic for many in our society. 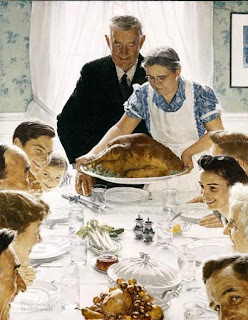 Norman Rockwell's familiar March 3, 1943, Saturday Evening Post cover was intended the depict one of FDR's recently proclaimed Four Freedoms - in this case Freedom from Want. Undoubtedly the original Pilgrims' Thanksgiving celebrated their newly found freedom from want, and for many in our world - even sadly in our own society - that is still an elusive goal. Still, what has characterized our recent history - at least since the catastrophic election of 1980 - has been the widespread propagation of a perverse freedom from community, which for so many has turned out to be the ultimate un-freedom. Wrapped in sentimentality though it may be, the traditional Thanksgiving trek Over the river and through the wood continues to attract in spite of - or perhaps because of - its radical rebuttal to our officially sanctioned individualized way of life. On Thanksgiving, we ritualize what human beings by nature seek, but which our prevailing political culture (both Right and Left) has successfully sought to liberate us from. Speaking in New York's Madison Square Garden in October 1936, President Franklin D. Roosevelt famously reminded Americans of the dangers posed by "business and financial monopoly, speculation, reckless banking, class antagonism, sectionalism, war profiteering," which "had begun to consider the government of the United States as a mere appendage to their own affairs." FDR reminded his audience "that Government by organized money is just as dangerous as Government by organized mob." On that occasion, he expressed his hope that in his Administration those "forces of selfishness and lust for power met their match." As Americans prepare for our annual Thanksgiving holiday, 81 years after that famous speech, we see instead the sad spectacle of a Congress, whose majority remains committed to further enriching and empowering those very "forces of selfishness and lust for power." Tax cuts can be thought of as a form of congressionally authorized theft from the public interest and the common good in favor of private and special interests. Obviously it would be possible to craft tax policies in ways which, by serving the special interests of the middle and working classes, could thereby promote the public interest and the common good of society as a whole. 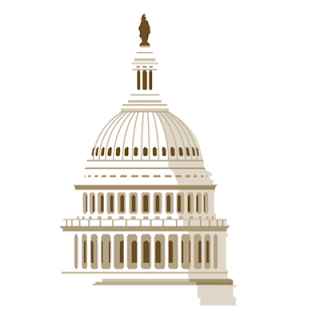 The tax policies presently in the process of being enacted by the Congressional majority, however, are evidently intended to do the opposite. Fittingly, before it was even passed (by a 227-205 vote in the House of Representatives), Bishop Frank Dewane, Bishop Oscar Cantu, and Bishop George Murry, representing the USCCB's Domestic Justice and Human Development Committee, International Justice and Peace Committee, and Catholic Education Committee, spoke in opposition to this terrible plan, noting how "this proposal appears to be the first federal income tax modification in American history that will raise income taxes on the working poor while simultaneously providing a large tax cut to the wealthy. This is simply unconscionable." We must be knit together, in this work, as one man. We must entertain each other in brotherly affection. We must be willing to abridge ourselves of our superfluities, for the supply of other's necessities. We must uphold a familiar commerce together in all meekness, gentleness, patience and liberality. We must delight in each other; make other's conditions our own; rejoice together, mourn together, labor and suffer together, always having before our eyes our commission and community in the work, as members of the same body. …For we must consider that we shall be as a city upon a hill. The eyes of all people are upon us. Prosperity and the passage of time may make us feel more secure and contented than befits a truly pilgrim people In the great ongoing struggle for the heart and soul of America, the pilgrims’ legacy recalls an important dimension of our life together. Our New England forefathers knew only too well what we as a nation forget only at our peril, that what is worth hoping for in our individual and collective lives requires a real community in which we all recognize our mutual dependence upon one another in a single society - a value ill served by privileging those who are already far too wealthy. Today’s Gospel [Matthew 25:14-30] reports one of the very last parables of Jesus’ public life. Obviously, we are meant to apply this (and similar parables) to ourselves, as we anticipate Christ’s final coming to judge the living and the dead at the end of each of our own lives and at the end of human history. This familiar parable portrays two good and faithful servants, and a wicked, lazy servant, who seems to value caution above all else. Now, obviously, in our ordinary day-to-day world, some degree of caution usually makes sense. These parables, however, are not about our ordinary day-to-day world, but about the kingdom of God. In the kingdom of God, the wicked, lazy servant is condemned as much for his fear of failure as for his actual failure to accomplish anything - for his cautious inactivity and passivity. The two good and faithful servants, in contrast, are praised and rewarded. They too were prudent - in their own way (which turned out to be the right way). Presumably, they also knew that their master was demanding, but, (like the fear of the Lord, which, as the psalm says, makes people blessed), their master’s expectation that they accomplish something with what he had given them, his determination to hold them to account and to judge them accordingly, instead of immobilizing them, inspired them actually to do something bold with what he entrusted to them. 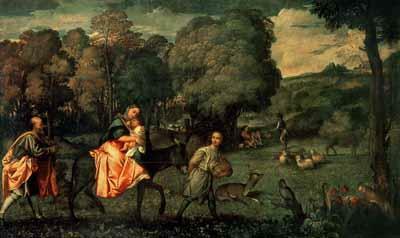 Now, since this is a parable about the kingdom of God, the master’s expectations of his servants suggest God’s expectations of us – expectations which, when the time comes to settle accounts, end up being most threatening precisely to the servant who seems so determined to keep his life unthreatening. With which of the three do we identify? Notice that we have three possibilities here, and the older I get (and maybe it is because I am getting older) I am more and more appreciative of the one in the middle, the one we are more likely to overlook, as if he were just a weaker version of the servant with the 5 talents. The reality of, of course, that, even at our best, we don’t all have 5 talents, and we are not always at our best. Over time we all tend to feel we can do less, not more. The servant with only 2 talents might easily give in to the same temptation as the servant with only 1 talent, focusing on his limitations instead of his opportunities But he doesn’t, and so ends up feeling more like the one with the 5 talents! Like the three servants in the parable – and like the worthy wife, extolled for her endeavors in today’s 1st reading – each one of us experiences his or her own particular set of challenges and opportunities. And, just like with the servants in the parable, the gifts God has given us to work with can be multiplied many times over by being boldly invested in getting outside of ourselves and joining with others - in this world, which we have been entrusted to love and care for, and in our life together as his Church, whose mission it is to share our master’s joy with all the world. Homily for the 33rd Sunday in Ordinary Time, Saint Anne's Church, Walnut Creek, CA, November 19, 2017. One of my favorite quotes from the sad circus that was the 2016 election campaign came from neither party's candidate but from Russell Moore (no relation to Alabama's Roy), an Evangelical spokesman, who is President of the Ethics and Religious Liberty Commission of the Southern Baptist Convention. In a lecture last October, Moore said: "The Religious Right turns out to be the people the Religious Right warned us about." His point has been confirmed once again in the shocking remark by an Alabama official, when asked about the latest series of allegations about a certain Republican party candidate for the U.S. Senate. "Take Mary and Joseph," he said. "Mary was a teenager and Joseph was an adult carpenter. They became parents of Jesus." Now putting aside the complete irrelevancy of referencing marriage customs from a radically different kind of society two millennia ago, not to mention the fact that marriage is not actually at issue in the case he was being asked about, and also the inconvenient fact that the biblical accounts say nothing at all about the ages of either Mary of Joseph, the most salient fact about that particular story is, of course, that Mary conceived and gave birth to Jesus as a virgin, which makes Joseph's role in the story very different from what references to ancient marriage customs might suggest. When something so fundamental to Christian faith as the Virgin Birth can be forgotten - or, even worse, conveniently ignored to make a political point - is it any wonder when it is forgotten (or ignored) that Jesus himself as a child was a political refugee, an immigrant in a foreign land? The biblical story really does matter, and it really does matter what parts of it we choose to remember and which we choose to forget for political convenience! As an adult, Jesus was asked many questions, some friendly, some not. Living in a radically different society such a long time ago, he was obviously never asked to choose between guns for all and health care for all. But, based on everything else we know, it should not be hard to intuit how he might answer - or, more to the point, how his story might challenge his followers today to answer. But that is, of course, assuming that they know the real story - starting with the Virgin Birth and Jesus and his family's forced flight from their homeland and their subsequent status as refugees and immigrants in Egypt! What we remember from the biblical story (and what we choose to forget) form the filters through which we hear that story and are transformed by it into disciples - or not. Every time we pray the Lord’s Prayer, we pray Thy kingdom come; and at Mass we conclude the Lord’s Prayer with the words as we await the blessed hope and the coming of our Savior, Jesus Christ). Yet I think it is safe to suggest that, despite what we say in our prayers and despite the obvious importance of the topic, most Christians, most of the time, don’t expend a lot of energy thinking about Christ’s coming again. The exception, of course, is those who do, and they seem sometimes to think about it maybe much too much, as happens with individuals or groups that think the Lord’s coming can be predicted precisely, especially in relation to events occurring in the world. American religious history has been full of such expectations - and the movements they gave rise to, a chronic misuse of scripture to make sense of contemporary history, or more accurately to fit what’s happening in the world into convenient categories that serve our immediate interests. Now, of course, there is really not a lot that is new about this. It is obvious from Saint Paul’s 1st letter to the Thessalonians, from which we just heard [4:13-18], that Paul’s 1st-century audience also apparently expected Christ’s coming to occur soon – and so were worried whether those who died in the interim would miss out on something. And Paul himself, while telling the Thessalonians not to worry about that particular problem, apparently also probably expected it to happen soon and may even have expected to be alive himself, as he says, to meet the Lord in the air. Meanwhile in today’s Gospel [Matthew 25:1-13], Jesus seems to be addressing those who think that the Lord’s coming can be predicted, whom he warns you know neither the day nor the hour. Jesus says this at the end of a parable about a wedding feast – a standard symbol in both the Old and the New Testaments for the coming kingdom of God – but a wedding for which the bridegroom was long delayed. On the other hand, to those among us who might not be sufficiently concerned about the Lord’s coming, Jesus cites the case of the five foolish virgins, who brought no oil with them, when taking their lamps; and so, when the bridegroom finally did arrive, they found the door to the wedding feast locked shut, leaving them outside. As Christians over the centuries have eventually come to understand, the delay has turned out to be a lot longer than was originally expected. Like the bridesmaids in the parable, it is only natural for us to settle down for the long haul, to make ourselves comfortable in the here and now. And the here and now has become very comfortable indeed for far too many of us, dangerously comfortable for far too many of us, especially in this country. But sooner or later the call will come: “Behold the bridegroom! Come out to meet him!” And when the call comes, then, like the five wise virgins, we must be ready. Each one of us individually must be ready. In an age when taking responsibility for one’s life and one’s actions seems increasingly out of fashion and blaming others is the order of the day, the obvious question comes up: why not get some oil from the wise virgins? Why couldn’t the wise virgins share some of their oil? In an age when taking responsibility for one’s life and one’s actions seems increasingly out of fashion, the most jarring thing about this parable may be the fact that, when the kingdom comes, there will be no one else to pin the blame on, if my own inattention and irresponsibly have let the lamp of goodness go out. When the time comes, each one of us must be ready to meet the Lord, my way lit with the lamp of what good I have made of my life. Homily for the 32nd Sunday in Ordinary Time, Immaculate Conception Church, Knoxville, TN, November 12, 2017. Like World War I, which made it possible, Lenin's October Revolution occasioned a tsunami of human misery that continued to afflict the human race throughout the rest of the 20th century. Few people have left the world so damning a legacy as Vladimir Lenin and his Bolshevik henchmen. Few people have inflicted so much harm on so many people as Vladimir Lenin and his evil offspring - Stalin, Mao, Pol Pot. Societies sometimes do learn from their mistakes. From the debacle of two world wars, the United States learned to step up to its responsibilities as the preeminent global power and to create and support institutions to maintain peace and stability in the world - international responsibilities which the party presently in power in the U.S. seems strangely eager to retreat from and institutions it seems ill inclined to support and maintain. One can only hope that we all will have also learned some lessons from the experience of Lenin's evil ideology and the depraved political and social system he imposed on such a large part of the world. A presumption of suspicion directed at all such pseudo-humanistic, pseudo-scientific, rationalistic ideologies might be a good start. Today’s gospel [Matthew 23:1-12] gives us some of what we sometimes call Jesus’ “hard sayings,” in which Jesus challenges us – as opposed to affirming us (which is what our therapeutic culture wants and teaches us to expect). The context was his conflict with the scribes and the Pharisees (whose authority he tells us to respect, but whose behavior we are not to imitate). In 1st-century Israel, the scribes (some of whom were also Pharisees) were legal experts. The Pharisees themselves were pious laypeople trying to live lives of faithful observance of both the written law and the oral traditions that surrounded and were intended to protect that written law. In Jesus’ time, they were one of several sometimes competing Jewish factions. Later, however, after the destruction of the Temple, the Pharisees would emerge as the dominant element, that would eventually evolve into what we have since come to call “rabbinic” or “orthodox” Judaism. In the memory of Jesus’ occasional conflicts with the scribes and the Pharisees, the early Christians no doubt saw their own conflict (as a breakaway Jewish group) with the new Jewish establishment that opposed the early Church. In the process, the scribes and the Pharisees came to be seen as anti-models of what was expected of disciples. Jesus’ words were apparently addressed to all his disciples – not just to those destined for positions of authority and leadership. But, by extension, it makes sense to see the scribes and the Pharisees as anti-models for how leaders in particular are to behave. If nothing else, these scriptures suggest that criticism – especially criticism of anyone in authority – is one of the constants of human society. We also just heard the prophet Malachi’s outburst in today’s 1st reading [Malachi 1:14b – 2:2b, 8-10] against Israel’s priests (who were a completely different group from the scribes and the Pharisees, but still an important and powerful group as long as the Temple was still standing). We live in an age right now in which it is exceptionally challenging to be an authority of any kind. We love to build people up and then tear them down – particularly politicians and entertainers, but pretty much any public figure of any standing in almost any area of society. And, of course, presidents, politicians, and public figures of all sorts – in business, education, entertainment, religion, in all areas of society – have frequently behaved so as to deserve criticism as severe as Jesus’ attacks on the scribes and the Pharisees or Malachi’s earlier attacks on the priests. The danger, of course, is when we criticize our leaders as a way of excusing ourselves. Thus we criticize politicians as if we weren’t the ones who had elected them in the first place! In a world where everyone is a critic, Church too can be a fractious arena of rancorous factional bickering. Perhaps it was ever thus, and modern means of communication, especially social media, have merely made it that much more obvious – especially nowadays when more and more people seem to adapt their religious beliefs to their partisan political loyalties. The early Church certainly saw its share of factional in-fighting. Maybe they highlighted these sayings of Jesus in the gospel precisely in the hope that its hearers would take Jesus’ words more to heart in their own cases. Still, being accountable goes with the territory – as it should. Back in the 4th century, St. Augustine famously said: “With you I am a Christian; for you I am a bishop.” All of us are accountable – individually and collectively – for how we live our lives and what kind of disciples we are. Those of us in positions of leadership are also accountable in a special way to and for those we have been appointed to lead. Paul certainly understood that; hence his self-analysis, in today’s 2nd reading [1 Thessalonians 2:7b-9, 13], of his own leadership. But Jesus’ challenge to his disciples reminds us that it is ultimately not about us. It’s about God, our one Father in heaven and our one teacher and one master, Jesus Christ, who has made it possible for the word of God to be, as St. Paul said, at work in us now – even in spite of ourselves. Homily for the 31st Sunday in Ordinary Time, Immaculate Conception Church, Knoxville, TN, November 5, 2017. More years ago than I care to count, I wrote a paper called "The Difficult Funeral," focusing on various inadequacies I sensed in the post-conciliar funeral rite. Then at least most people still had funerals! In my early parish assignments as deacon and then as priest, I did lots of funerals - the full three-part ritual of wake, funeral Mass, and burial. Especially in my first assignment as a priest, most of the funerals I did were in a foreign language, which added its own dimension of difficulty. They also often involved interment in expensive, above ground mausoleums - so much so that I once suggested that my idea of a good day was "a funeral in English with burial in the ground." That said, at least they were still funerals, although the spirit of the funeral experience was already becoming radically altered from its original and presumably primary purpose. In part, this was thanks to the new rite (and the American adoption of white vestments as the common funeral color). In part, it was due to the increasingly therapeutic turn in our culture in the last part of the 20th century. Even more problematic than the white vestments - with their hint of premature canonization - was the growing custom of eulogies, increasingly less and less reflective of the Church's faith that was ostensibly being proclaimed in the rest of the service. But, as I said, at least there was a funeral. More and more often now however, the three-station funeral is becoming a thing of the past At the time I wrote my paper, one of the priests involved in Formation suggested that the difficulty lay in the compression of the three-station funeral into one event for most mourners (who would generally not be able or willing to attend all three rituals). Since then, however, even the central station - the funeral Mass itself - is often omitted. Or it is delayed and accordingly reconfigured as an after-the-fact "Memorial Mass" or "Celebration of Life." The increasing popularity of cremation is obviously also one of the culprits here. A decade or so ago, a funeral director showed me a closet full of unclaimed cremated ashes, of "loved ones" who had in effect been disposed of with minimal (or no) ceremony. So perhaps our society has replaced the difficult funeral with the invisible funeral - something to reflect upon at least on this All Souls Day. In our Catholic tradition, the month of November is dedicated in a special way to remembering and praying for those who have died. Our faith challenges us both to treat all of life as a preparation for a good death and not to neglect our duty to pray for those who have gone before us. Also, praying for both the living and the dead is considered one of the seven spiritual works of mercy, while burying the dead counts as one of the seven corporal works of mercy. Hence, the importance of a proper funeral, which is an especially privileged moment when the entire Church publicly intercedes on behalf on the recently deceased, a very visible expression of our membership and participation in the Communion of Saints. 47 summers ago, when I was studying German in Austria, I often attended Mass in the village church in Siezenheim, outside Salzburg. The little church was surrounded by a traditional Friedhof (cemetery), where villagers would visit their family graves after Sunday Mass. While they did that, I would stop at the grave of Archduke Ludwig Viktor (1842-1919), with its impressive gravestone professing his loyalty to his late brother, the Austrian Kaiser Franz Josef. Like the Hapsburg Empire, it seems that our traditional funeral ritual and the worldview and sentiments that gave that ritual meaning have increasingly receded into a vanished world. Even so, it remains a holy and wholesome thought to pray for the dead, that they may be loosed from sins (2 Maccabees 12:46). 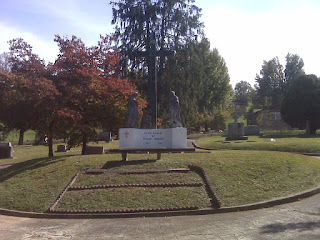 Photo: Calvary Cemetery, Knoxville, TN.